We plan all of our trips to try and ensure the safety of our clients and we welcome custom from all abilities. Clients must complete a participant form to book on our trips. The form asks for your details, past experience, emergency contact details, medical conditions (including allergies) and if you are using any medications. These details will be used to help build the right experience for you, we will of course discuss this with you if we have any concerns. The form will also be used by our "Base Camp", the team that looks after our safety while we're out on the hill. The Base Camp will commence emergency procedures should we be late back or should our guide call them. By signing the form, you agree that we can pass on your details to the emergency services, police and Mountain Rescue. This event is extremely unlikely. Hillgoers understands that outdoor activities can be hazardous. By agreeing to participate on one of our trips, clients agree to accept these risks and will be responsible for their own actions.  We refer you to the following statement from Mountaineering Scotland "the MCofS recognises that climbing and mountaineering are activities with a danger of personal injury or death. Participants in these activities should be aware of and accept these risks and be responsible for their own actions and involvement". Our guides are responsible for the safety of our clients while out on our activities, in order to manage the risk, clients are requested make their guide aware should they feel unhappy or feel the activity is beyond their ability. No client will be requested to undertake an activity which they are not comfortable with. By agreeing to continue, clients accept responsibility for the risks. Our guides all have public liability insurance. It is recommended that clients consider insurance to cover their trips, Mountaineering Scotland and the British Mountaineering Council can provide insurance. Weather in Scotland is fantastic, in one day you can experience it all! We keep a close eye on the forecasts before we set out on our trips. We reserve the right to postpone the trip or modify the trip to ensure you can still have enjoyable experience with Hillgoers. Our guides are trained to interpret the weather on the hill and will take the necessary actions to keep the group safe. When booking in advance we ask for a minimum 20% deposit, to be discussed on booking via email or phone. Full payment is required at least 30 days before the event. Cancellations by clients within 14 and 7 days of the event will incur a 50% charge. Cancellations within 7 days of the event will incur 100% charge. Hillgoers are unlikely to cancel a trip, if that happens we will notify you as soon as possible to arrange an alternative discounted date. Hillgoers reserves the right to stop any trip if any member(s) of the group is acting irresponsibly, unsafe or abusive. Additional charges will apply if the offending client(s) have to be escorted off the trip by an additional guide. If anyone becomes unwell or has an injury during the trip, we will use our first aid training to look after their wellbeing until we return or evacuate immediately if required. We have no age limits but expect those under the age of 18 to have a responsible adult with them, this can be discussed on booking. Some of our trips are long walks into wild lands, carrying equipment, clients need to assess their own physical abilities for these trips. We will of course discuss your objectives and help you choose a walk that's right for you. All details passed to Hillgoers will be destroyed unless you agree for us to retain your contact details. We will never pass your details onto anyone else unless you agree, this could be to our working partners, like NNAS. We will never pass on any financial details. For any physical products purchased through our online shop, shipping and returns policy applies. You can review this here. Please contact us if you are unsure about any of the above.